Thank you for visiting my website. 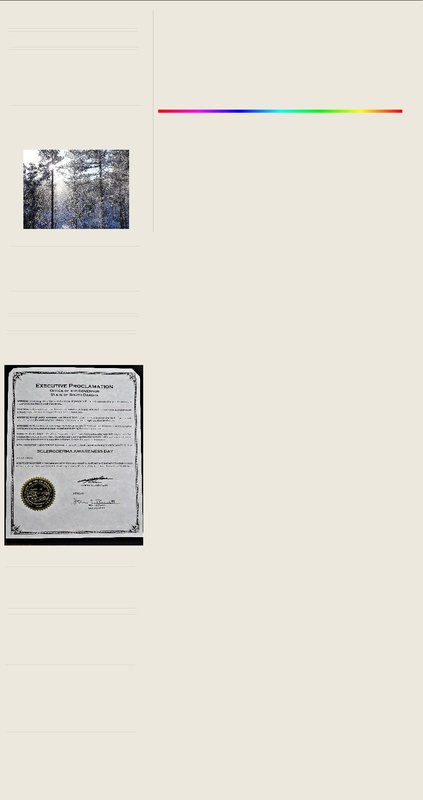 If you are looking for my real estate specific website, please visit BlackHillsSDHomes.com to learn more about the Black Hills real estate market, read my real estate blog posts, and to find a home. You can also view real estate market reports on the real estate page of this website. If you are looking at buying or selling a home---you can give me a call at (605) 593-3759 and I will gladly help you with your real estate needs. If you follow some of the links on my website, it may seem eclectic---catching a handful of my interests and endeavors. I am a full time real estate professional and love what I do! My interests go beyond that and beyond what you see here. Each one of us is more than what is visible on the surface. City government is unique in that it touches on a wide array of issues---everything from infrastructure to the arts...or from animals to zoning (I am a board member of the Humane Society fo the Black Hills). I believe council members should have a broad array of interests and experiences to understand the complexities of city government. That creativity and knowledge is also important for real estate. I had the priviledge of serving Rapid City as the Ward 5 Alderman from July 2011 to July 2013. Click here to see a small sample of what I accomplished during that brief time. In real estate I work hard for my clients as well---making sure they achieve their real estate goals and dreams. During my time on City Council, I made many changes that benefited the entire city. As an example, I have made ordinance changes that requires all roads and infrastructure to be built to specifications without cutting corners (click here to learn why this is important and what it protects tax payers from). This ordinance was good for the city, citizens, and developers. It protects our financial interests and improves the life span of our roads that are built today---protecting our investments for the future. It also provides a clear process for developers and should prevent any lengthy and expensive lawsuits in the future. It was passed unanimously. I supported keeping taxes lower and voted to reduce fees---including an 8% reduction in garbage collection rates. I am very passionate about Rapid City and have lived her for over 25 years. Rapid City provides an outstanding quality of life and provides many outdoor activity options. The incredible park system is one of the many reasons that I love Rapid City! My diverse business background includes working in sales for a Fortune 500 company as well as nonprofit business leadership experience as the program director of nonprofit brain injury rehabilitation center in Rapid City for 14 years. I have a Master's Degree in Counseling. I have been involved with marketing activities in both the nonprofit and commercial business sectors. These are all unique assets to real estate. My creativity goes beyond marketing. I have worked as a freelance writer and composed columns for the Rapid City Journal. I have written screenplays, poems, songs, and part of a novel. I am also a licensed professional counselor. Even though I do not work as a counselor I keep my license active---occassionally presenting at conferences. As a licensed professional counselor I received an award for my work with the homeless---and I worked to help get people back on their feet. Many people are just one bad break away from being homeless. My primary focus in counseling was in the field of brain injury where I worked exclusively for nearly 15 years. Brain injury covers a lot of ground as many people experience anxiety and depression along with their brain injury. I worked to create treatment models and was able to present at conferences throughout the region, including presenting at Mayo Clinic. Click here to learn more about brain injury. I also have a strong interest in autoimmune diseases and the role that stress plays in bringing them on and making the disease worse. At the start of 2016 I was diagnosed with systemic scleroderma. Even though I am in relatively good health, my diagnosis has significantly changed how I view life. My goal is to leave this world much better than I found it---whether that is through helping people find a new home or by inspiring people. I presented on stress management at the National Scleroderma Patient Education Conference this past summer in Arizona. Click here to see my curriculum vitae (professional overview and experience in the counseling field). I am also a current board member of The Humane Society of the Black Hills and a past board member of the Brain Injury Alliance of South Dakota. I am a member of the Black Hills Association of Realtors, a member of the Black Hills Home Builders Association and a member of the Black Hills Runners Club. These are some of my community connections. Running is one of my favorite outlets. In my teen years I was consistently able to run a mile in under five minutes. As I slowed down with age I ran further instead of faster, running nine full marathons. Yes, that's 26.2 miles. After 26 miles, those extra two tenths of a mile make a difference! I now run half marathons as it is a little easier on my body. I have run three half marathons that were under 1 hour and 45 minutes. Even though I enjoy running fast when I can, speed isn't the important thing. Running is a great outlet for everyone as it's great for the body and for the brain! I hope to see Rapid City one day get an official designation as a "Runner Friendly Community" through the Road Runners Club of America. There are several runners from the Black Hills Runners Club that are working toward this goal. When I ran for council I had many goals for improving Rapid City and I hope someone will decide to implement them. My diverse background helps me to see things differently. Having a vision for Rapid City is more than one or two ideas, it's an assortment of interconnected ideas that weave together and fit together---making the whole greater than each individual thread. Please contact me if you have any questions or if I can help you with buying or selling a home or a commercial real estate project.Thank you! ©Copyright Ron Sasso 2018. All Rights Reserved. With the help and support of the Scleroderma Foundation Ron is facilitating a scleroderma support group. The group is held the first Wednesday of each month at the Rapid City Public Library (Room A near the entrance). The group is free and open to anyone. Information on scleroderma will be available. 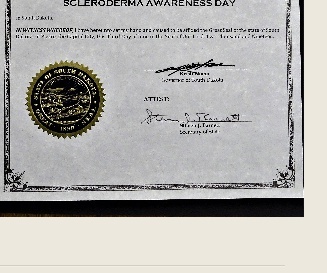 Click here to visit Ron's Scleroderma web page to learn more about the disease. Do you have questions for Ron? You can email him at ron.sasso@yahoo.com or call him at (605) 593-3759.